As a real estate investor, there may come a time when you want to sell right away. This may not be as easy as it sounds when you have tenants living in the house. In our latest post, you can learn more about how to sell your home with a tenant in Tucson. While selling a Tucson house with a tenant isn’t always the ideal situation. Consider how it will affect them before making any bold decisions. If you need to sell your house with a tenant, it can be done when handled properly. Below, we share some tips on how to sell your house with a tenant in Tucson. 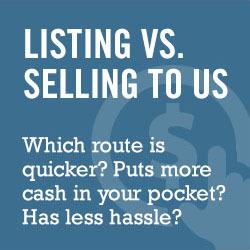 Selling your house to a direct buyer such as We Buy Homes In Tucson can make the process easier on everyone. Make sure that selling in this manner doesn’t violate your lease in any way. You’ll also want to try to find a buyer who isn’t going to have a problem honoring the current lease. Many investors will love having a trustworthy tenant already in place. This ultimately saves them time and money in trying to find and screen tenants on their own. Working with a direct buyer is one of the best ways to sell your home with a tenant in Tucson. Whenever possible, you will want to try to work with your tenants as best as possible. They can help you sell the house if you decide to list it. Always keep your tenant in the loop as far as when the home will be shown, how much notice you’ll provide, and what condition you expect the property to be in. Who knows, they may even be able to recommend a buyer or maybe they will want to buy the home themselves! Having open and honest communication will help you sell your home with a tenant in Tucson.